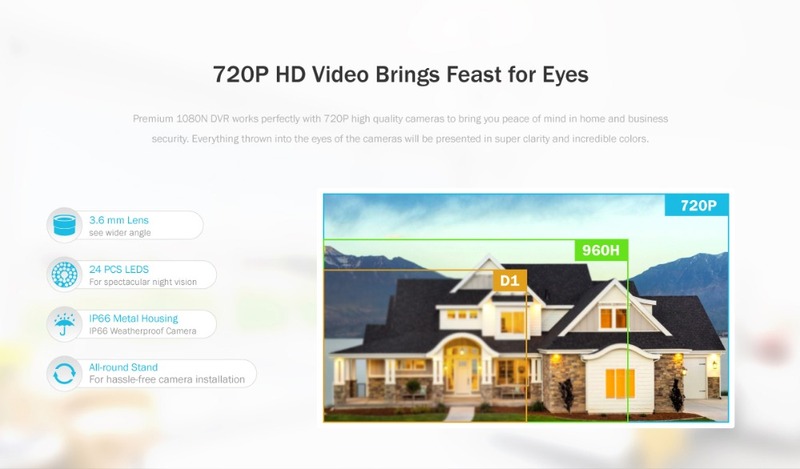 Enjoy all the pristine colors and smooth on-screen movements in 720P video and get complete peace of mind in home and business security without the need to lean in or strain your eyes in recognizing things. 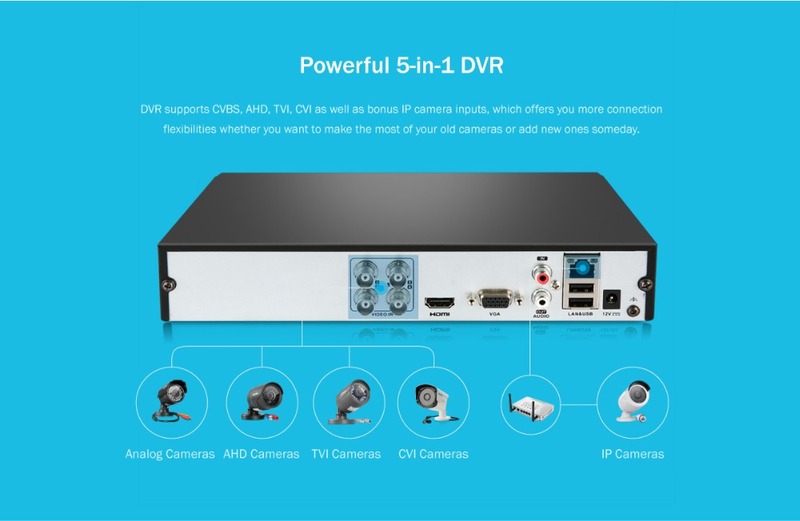 Compatible with AHD, TVI, CVI, CVBS, as well as IP cameras, this DVR offers you more connection freedom. 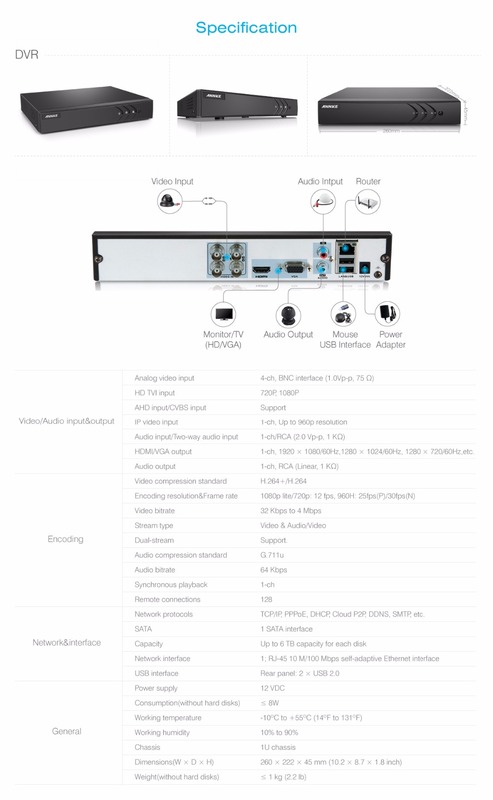 Moreover, 1080N (1080*960p) DVR is connectable to 1080P cameras to get 1080P live videos and 1080N recordings. 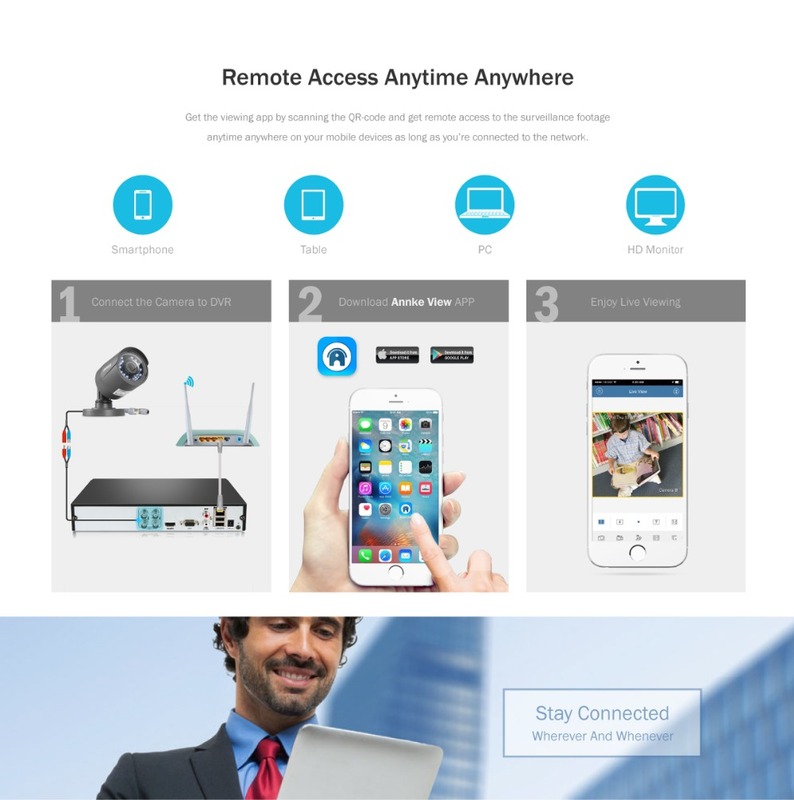 Watch live monitoring video, record and playback on smartphone, tablet and computer. 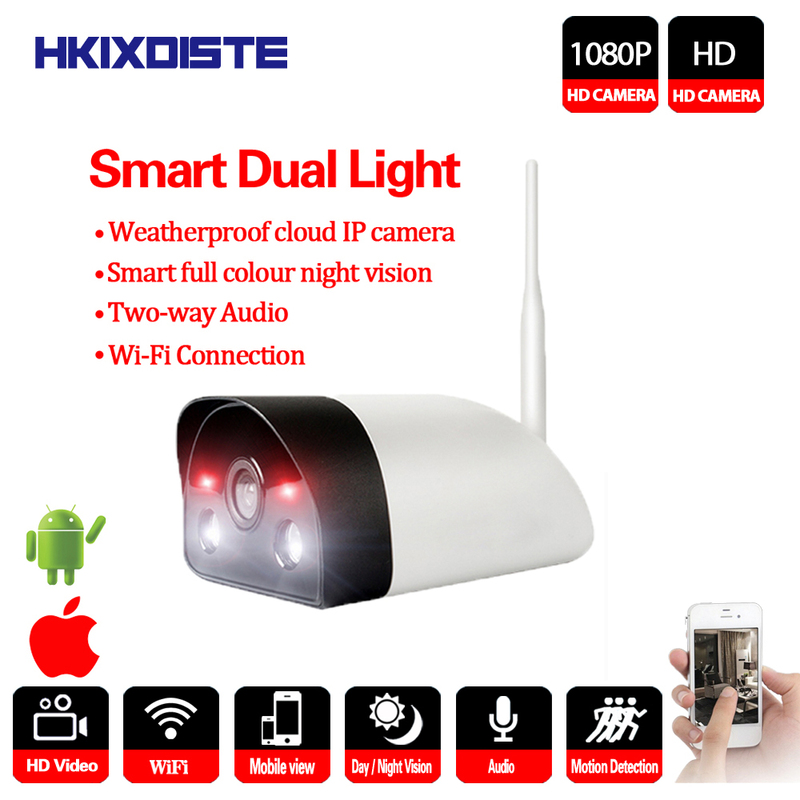 With just a few steps and a little setting, you can see whatever the cameras see from anywhere in this world where network in available. 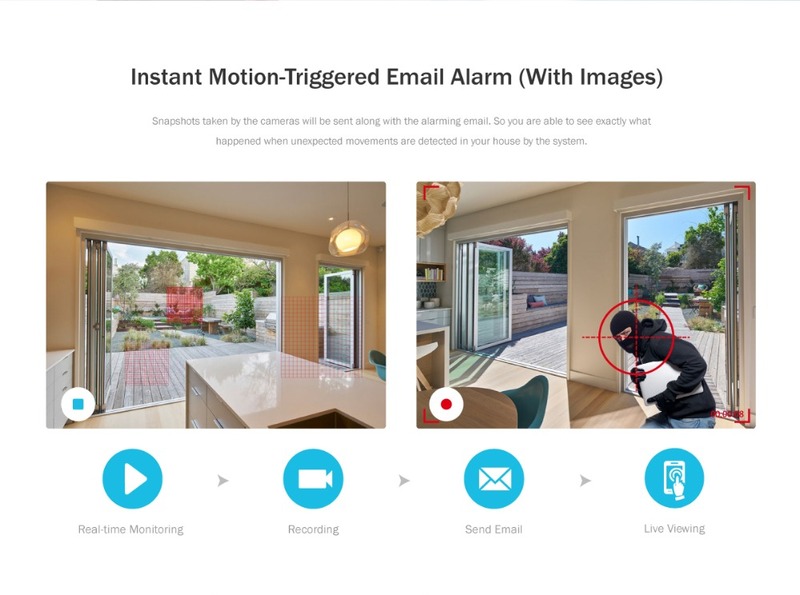 You\'re allowed to set several motion detection regions according to specific surveillance needs. 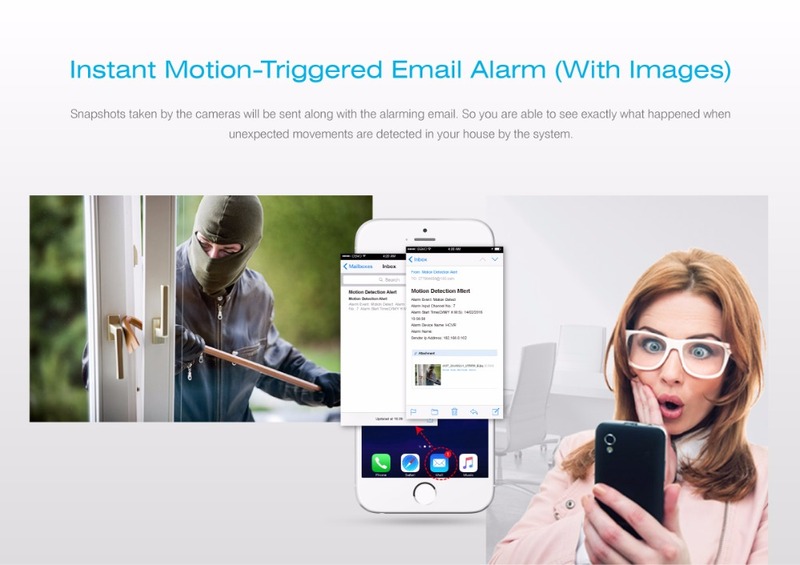 When motions are detected in those masked areas, an instant alarming email with images captured will be sent to you. 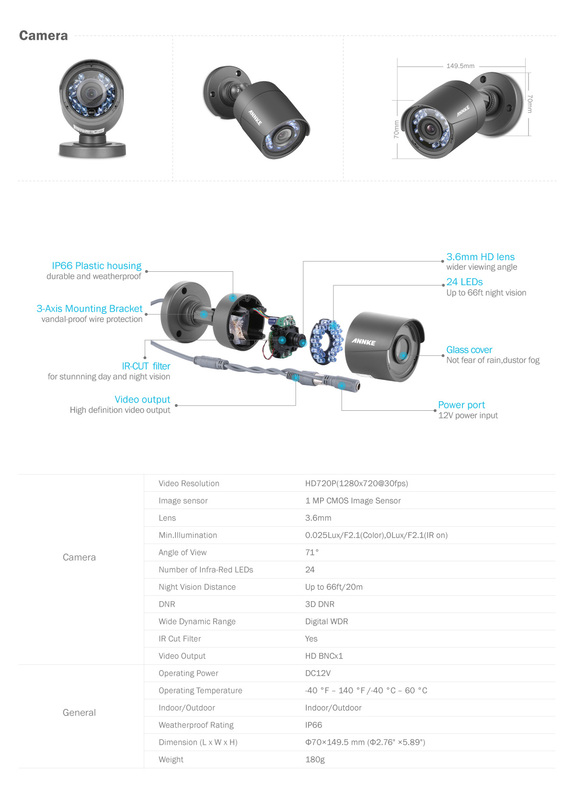 With up to 66ft/20m infrared night vision, cameras will never let you down when you need them most. 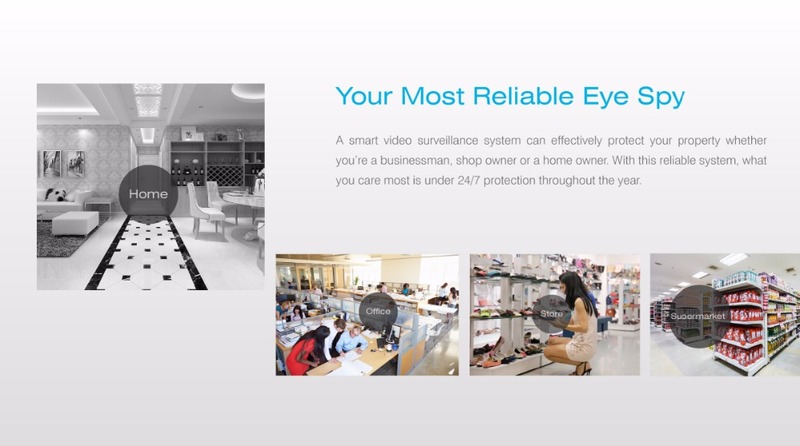 Fall asleep assured every night knowing they will help you monitoring on your property while keeping burglars at bay. 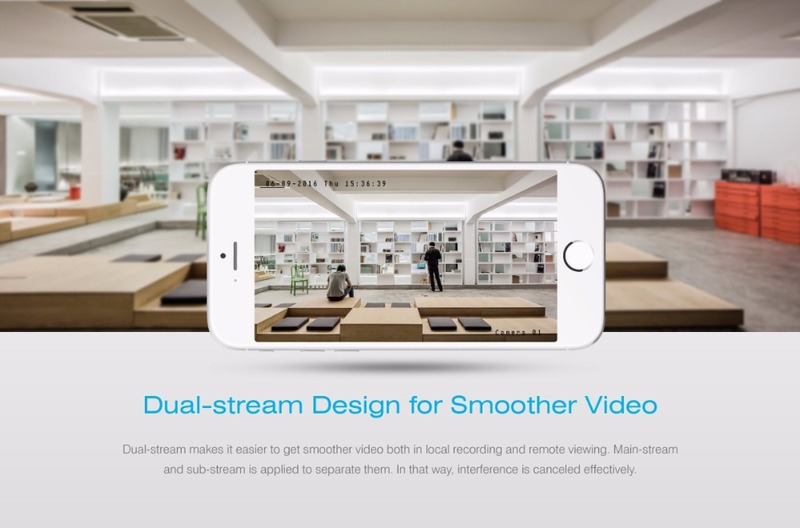 By using the advanced H.264+ video compression technology, this system takes a great leap in storage and transmission efficiency. 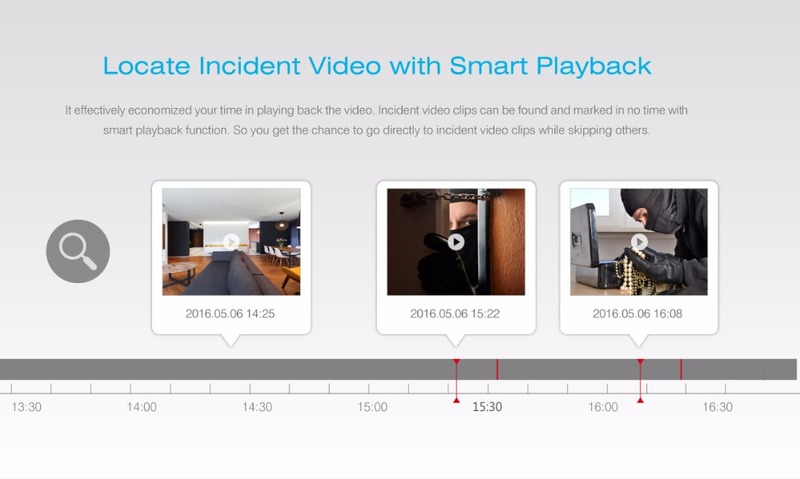 Smart coding and compression doubles your storage space for 2~3 times longer recording than H.264. 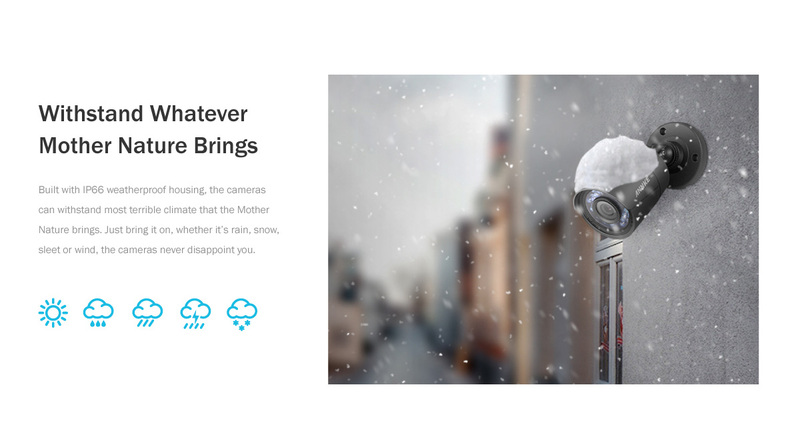 Built to go through different weather conditions in indoor& outdoor application, cameras are all IP66 weatherproof and dustproof. 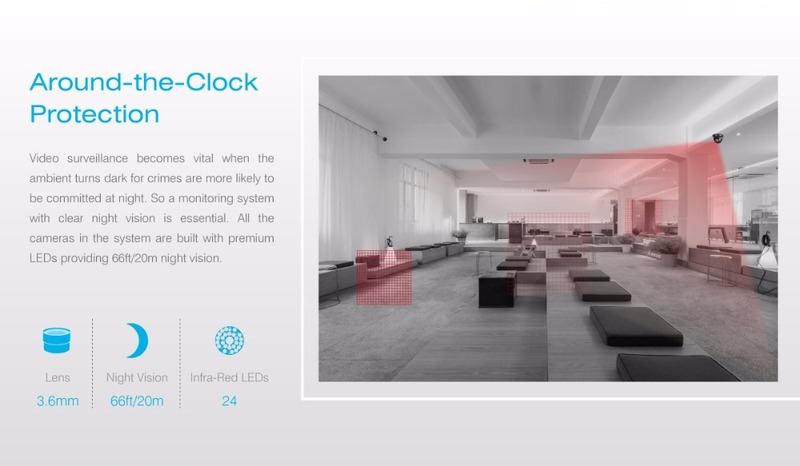 So that they\'re durable enough to withstand whatever Mother Nature throws at them.